Proven Track Record…Kaye Lewis is a full-time professional serving all aspects of the greater Greenwich residential real estate marketplace. Kaye’s team has extensive experience in new construction, antiques, waterfront, and equestrian properties. 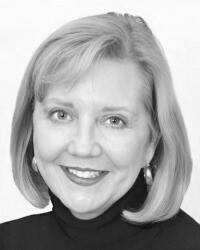 Kaye is ranked in the top 1% of realtors internationally and has been an active Realtor® since 1987. Marketing and Sales Expertise…As a recognized source for Greenwich home buyers and sellers alike with over 2 million hits annually, the website http://www.MyGreenwichHomes.com is the “go to” site for Greenwich real estate. Kaye brings her personal touch to all marketing efforts – advertising, print media and community involvement – all of which benefit her clients’ real estate goals. Creative Vision…With 20+ years of local experience in sales, marketing and real estate management, Kaye is an acknowledged expert. Add to that her creative vision and she clearly sees every Greenwich home’s potential, both financially and aesthetically — a rare combination which enables her clients to make the right decisions when buying or selling Greenwich properties. As your Realtor, Kaye will represent your best interests and provide honest, trustworthy and professional advice based on years of experience. You can rely on Kaye to follow through on her commitments to make your Greenwich real estate journey a pleasant and rewarding experience. Negotiation Skills…With extensive negotiation experience and a wealth of local knowledge, Kaye knows how to successfully negotiate for you in the current fast-paced and competitive Greenwich home marketplace. Teamwork… Kaye’s team is your team, maintaining open and clear communication with all parties to make each transaction happen faster, at the best price and with fewer problems. She can introduce you to a team of seasoned professionals (attorneys, inspectors, appraisers, lenders, etc.) that create a seamless real estate transaction so you can enjoy the experience. Availability…Accessible 7 days a week to ensure your home buying or selling experience is a smooth and enjoyable process. When questions come up, you can feel confident that Kaye can be reached – and you’ll receive the right advice. Personal Touch…Kaye treats every client as an individual and gives each the consideration of a family member and this has brought a steady stream of referrals and repeat business over 25+ years from past clients, who praise her honesty, integrity, attention to detail and marketing expertise. Kaye Lewis is proud of these client recommendations, which can be found here.